Designed by Jack Coia and opened in 1938, St Peter in Chains is probably the most academic of his churches of this period. 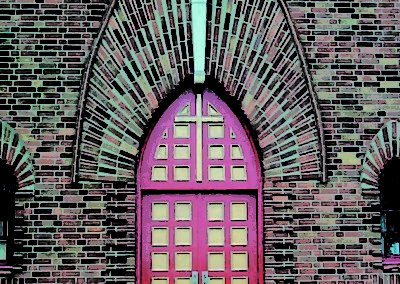 The church, in reddish facing brick, has a high west gable and a tower reminiscent of Stockholm Town Hall. 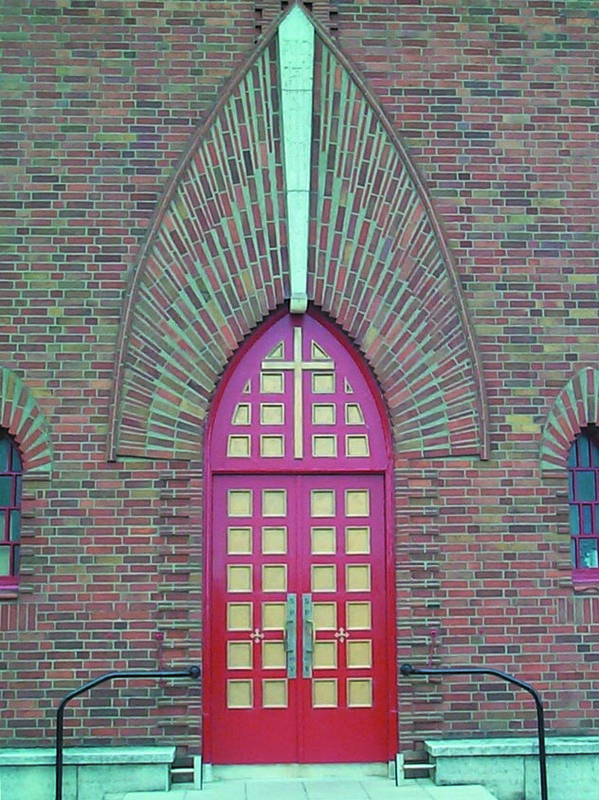 Striking brick main doorway with stone keystone; the door feature continues to the gable roof and ends in a small well-detailed cross. The interior of the church is simpler than one would expect but beautiful in its simplicity. The finish is plain cream plaster which provides a background to the furnishings. The altars and rails are built from different coloured marbles. The canopies over the main and side altars have decorative panels in the canopies depect the keys of St Peter, the bull of St Mark, the eagle of St John. the lion of St Mark and the angel of St Matthew. The font in the porch is made of granite.